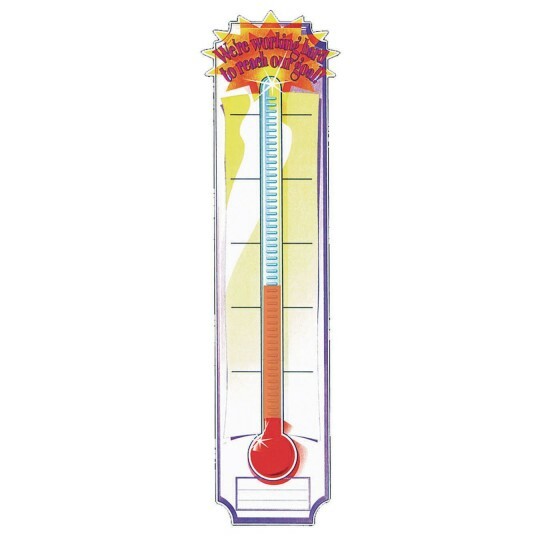 This goal setting thermometer banner allows you to present goals in a fun way that is big enough for everyone to see! Great as a group incentive, office presentation, or anywhere motivational inspiration is needed. Great for decorating walls and bulletin boards! Banner measures 48” x 12”.